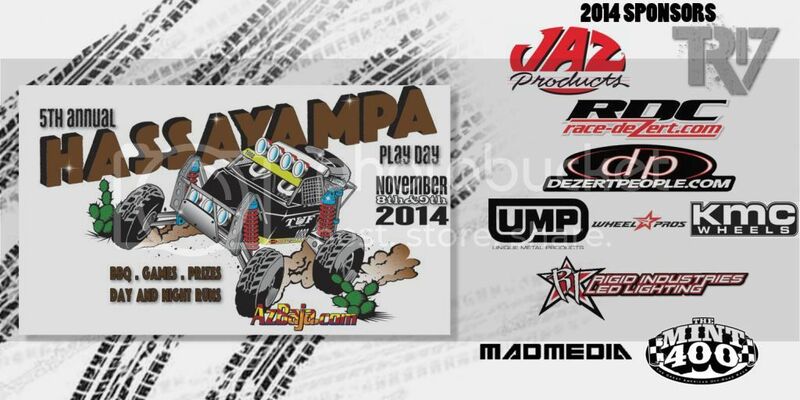 Mad Media onboard for this years event. Thanks Matt Martelli! Three years in a row they have sponsored our event. There's a small chance I'll be there Friday evening, but if not definitely Saturday morning. I can't bring my baja this year, so I'll either be in my stock 2wd montero sport, or if my buddy goes we'll be in his jeep. Can't wait, I'm excited about this. I will be heading out sat morning. See everyone around 10. I will be leaving the east side of town around 7am to get things set up. I will also have raffle prizes and everyone will get tickets. We have all kinds of prizes to give out this year. Remember, you don't have to have a Vw-based vehicle to participate. 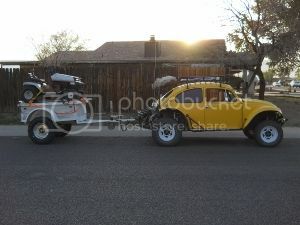 Bring a quad, bike, truck, jeep and have some fun in the desert! The weather is looking to be perfect this year so come out and enjoy what Arizona has to offer! So is this going on, or is the other schedule that was posted right above my post? Are things starting at noon, or 8am? I'm confused. So on Saturday (11/8) there is NOT a run up to wickenburg and back? No. Doesn't mean it can't happen at some point, but that is a 2 or 3 hour trip if no one has issues. This will be our first year of going to the event if we can make it. On Sat the 8th exactly where are the activities and is it the same place some people are staying the night? Then on Sun the 9th per the above description from Dalton, people are meeting at 83rd and McDowell at what time? When they get to the 339th Ave and go right to McDowell then follow McDowell East to the river bed. Is that the same place as the activities on Sat? 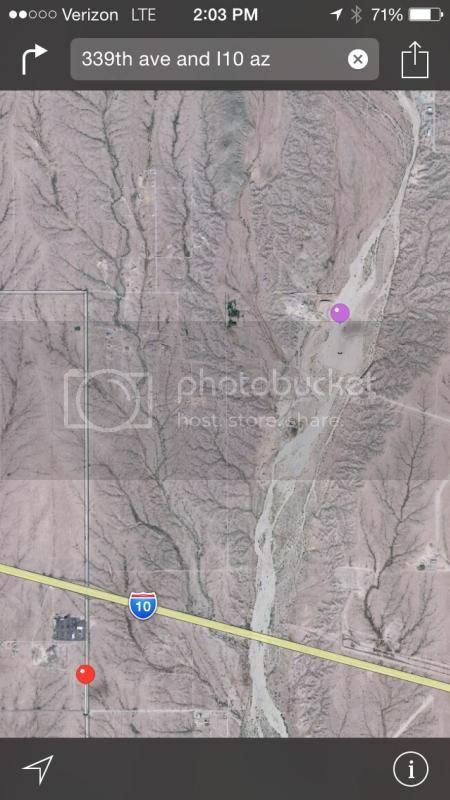 We camp at the purple dot. Everything is started from there. There are no other meeting locations, just the river bed. People will come and go as they please. There is room for tents, campers, trailers, motor homes, etc. That map is exactly what I needed thank you very much!! sorry I caused so much confusion! I will go ... that's a nice ride..
we camp next to the donut tree..